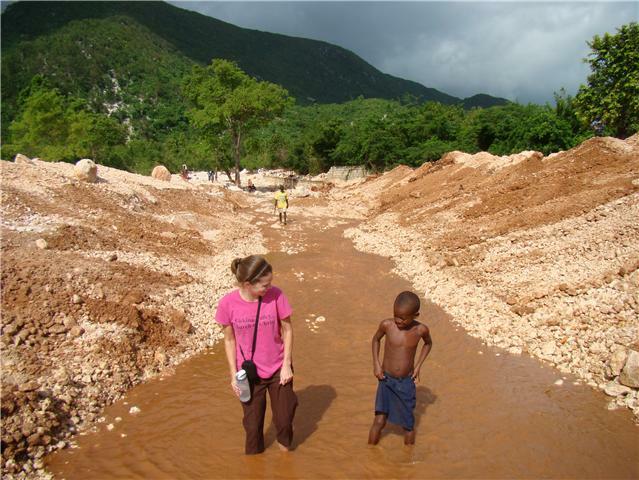 Ginny in Haiti: Let the building begin! Job chilling in the shade. He is the reason Invest Hope was made aware of his family's situation. Today we started buying the supplies to build Job's family a new house. Click here to read the story of how a fire destroyed their home. Thank you to everyone who donated towards this project. It is something new for Invest Hope and I am truly happy to be a part of it for this deserving family. Haiti is a land of asking...most people are so poor and so used to begging that I get asked at least 3-4 times a DAY for money/food/etc. But this family, who lost their house and everything in it, has never once (since the house burnt in Sept 2010) asked me for anything. They are living in very bad conditions. This is one family who is hard working and humble and very grateful for this opportunity to rebuild their home. Once again...I get the fun job. I get to be here and work on the project and with the family and share with you all how you are helping one little family in one little village in the name of our Lord. On a side note...I had to take a picture of Job's father's shoes. This is the third time in one week I have met with him and every time he is wearing his "work" shoes. And he is out working HARD in the garden. This is not to make you feel sad but to show you how some people are living day to day.